Where the goodness happens: set a Threshold, record some sounds. Where I live, at least, the darkest winter on record has given way to spring. The trees outside my flat have sprouted leaves in the past 48 hours. And so, the idea of making electronic music out in the sun suddenly has a lot of appeal. This spring and summer, we’ll be featuring some ways to make music en plein air – even with technology. It connects to Maschine on desktop, so you can start a project on the go and then finish it in the studio – perfect for summery weather. Here’s how to get something out of it. You could use a proper microphone – Rode’s new iXY mic looks intriguing, though it doesn’t yet work with the new Lightning Port. But the internal mic on the iPhone actually works pretty well. It’s already engineered to focus on nearby sounds and not on noise, and has the compressed, selective quality of this kind of mic – not giving you much in the way of fidelity, but just fine for quick percussion sounds. And it means for our purposes here, your sketchpad is always in your pocket – so you don’t have to plan ahead for impromptu sampling and production sessions. 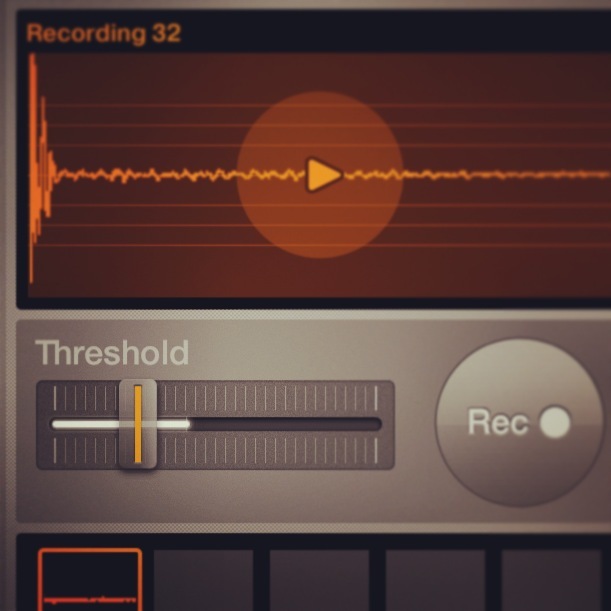 Sampling features, copied from the desktop software, set iMaschine apart. Editing is a bit primitive, but you can adjust Pitch, Gain, Pan, determine whether these will be One Shots or Loops, and switch on Choke. Then, you can either be satisfied improvising with your new kit or record some patterns. Set some quantize values at bottom (1/4 to 1/32) and then overdub parts. You don’t get nearly the arrangement options of other programs, but it’s enough to get a quick sketch. For control of velocity, there’s also a fairly clever Live Play mode (second tab from the left) that lets you play at different volumes. The Export dialog. Just be aware the Export button at bottom right is grayed until you’ve recorded some pattern – even though you don’t necessarily have to keep that pattern once you’re back on the desktop. 2. 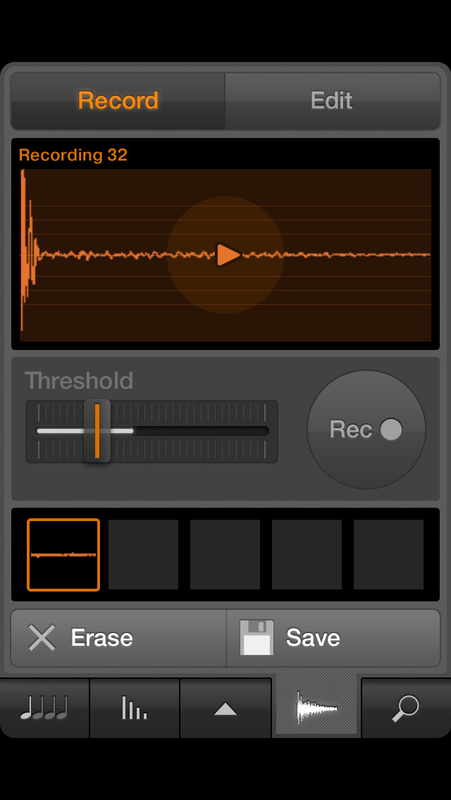 Click the iMaschine icon at top left, and choose Export. Choose the settings you want, and tap the Export button. If you don’t use Maschine on the desktop, switch on both Audio and Project & Samples. This will bounce individual samples, plus a loop of the drums – so you could, for instance, load samples into a Drum Rack and a clip into Session View in Ableton Live. If you do use Maschine on the desktop, you can switch Audio off (as you don’t need to bounce the loop), and Project & Samples on. 3. 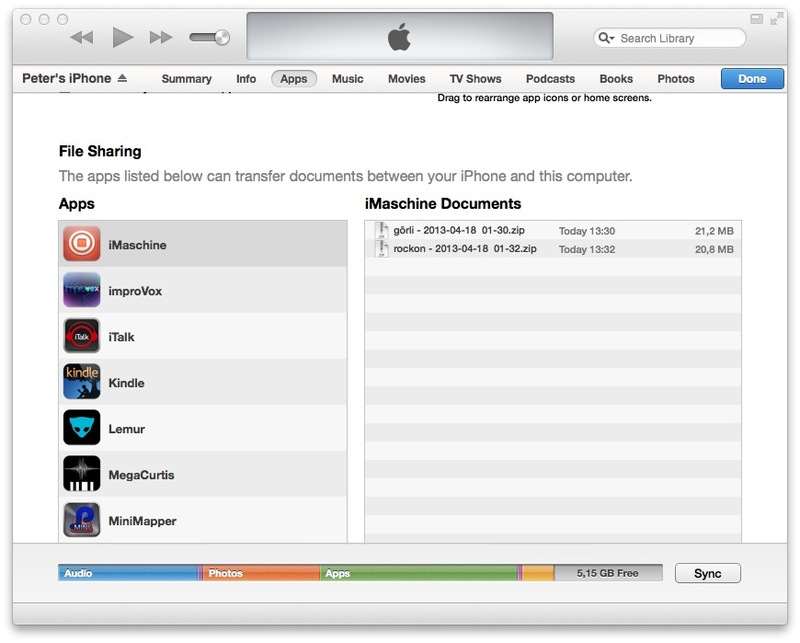 Connect your device to iTunes. From the iPhone screen, choose Apps, scroll down to File Sharing, and then select iMaschine. You’ll then find zip files for exported projects. Drag them to wherever you like in Finder. 4. Uncompress the zip file(s). 6. In Maschine, you have access to the recorded patterns (as editable notes, in fact), individual samples, and all the pad settings. You can save now as an Mprj file for Maschine only. Edits cannot be re-synced to iMaschine, but that makes sense – the mobile version doesn’t do everything the desktop version does. Alternatively, you still have all the samples, so this works as a perfectly reasonable way to sample and create some drum kits for other software. Back in iTunes, you get a zipped-up project you can export to the desktop. Double-click it to open in Maschine. What I love about this is that it’s easy to grab some samples and sketch some rough rhythmic ideas, then really refine on the desktop – with all the advantages therein. The feeling of using real pads again is immensely satisfying after mobile, and even though there are some capable drum machines out there, nothing matches the sync, workflow, editing, and effects powers of software like Maschine back on the desktop. The differentiation between platforms to me is pretty clear. It’s all so good, in fact, that it’s a shame NI hasn’t done more with this software, particularly given the ongoing popularity of Maschine. 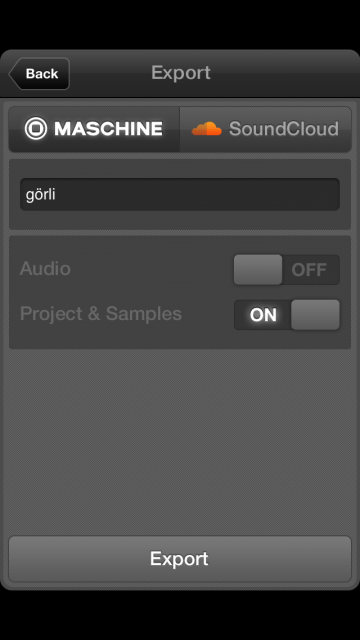 Nice to have: MIDI, sync, Audiobus/JACK support, AudioCopy and AudioPaste, sure. iPhone 5 screen support is also missing. Really essential: on one hand, it’s fun leaving some shuffle in your samples by not being able to set the in and out points. On the other, it’s not as though this feature would somehow ruin the program. Being able to reverse and set in/out would make this a much more powerful solution. And it seems due for more editing and an iPad version to keep pace with the competition. I hope NI considers doing that, because there really isn’t any direct replacement for iMaschine on iOS, and it really does expand the pleasures of using the desktop software and hardware. In the meantime, though, I can’t complain: I’m having too much fun with this rig. And for once, I may leave a production session with a sunburn. Remember, kids: use sunscreen.